WINONA LAKE — As the holiday weekend quickly approaches, many are looking to area lakes and parks for family entertainment. Winona Lake residents are no exception. After experiencing a hugely successful launch of phase one of the Winona Lake Limitless Park initiative, people of all ages are invited to enjoy the K21 Splash Pad for its last open weekend this year. 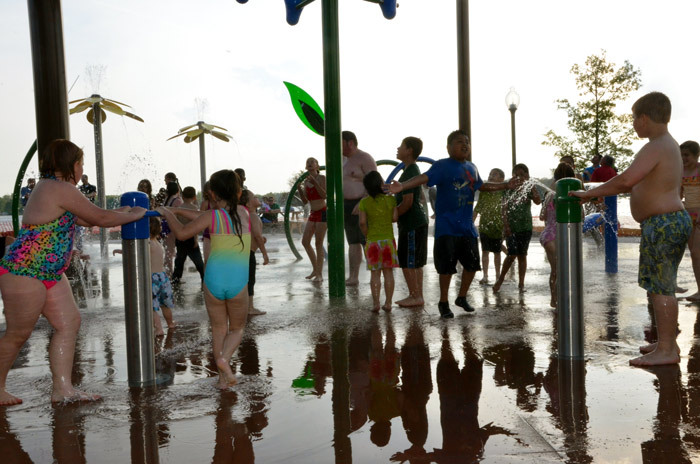 The splash pad will officially close for the year Tuesday, Sept. 8. According to Winona Lake Parks and Recreation Department Director Holly Hummitch, the splash pad has seen numerous visitors nearly everyday since its opening. 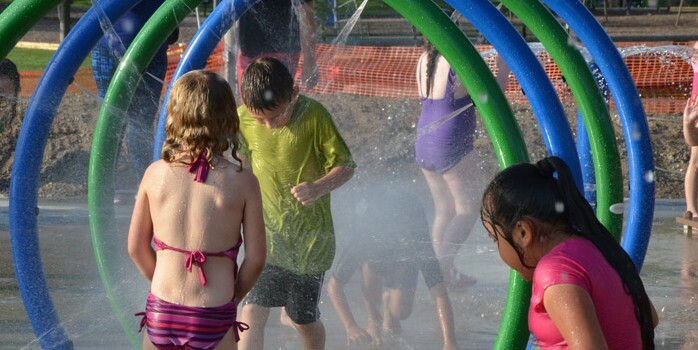 The splash pad opened on May 15, the weekend of the annual Fat and Skinny Tire Festival. Since then, Hummitch noted the splash pad has been well received from both members of the community as well as visitors from afar. Utilizing filtered, recycled water, the splash pad features numerous types of water play for all ability levels, a feature that was paramount in the design. Though the splash pad has enjoyed a successful season, the Winona Lake Parks Department has only just begun their mission. After working just over a year to complete the splash pad, attention is now being focused to complete a year-round restroom facility equipped with bathrooms, showers and changing areas. This facility will be a benefit for both guests to the park, beach and splash pad as well as the numerous cyclists who visit Winona Lake’s trails. In addition, additional, much-needed parking is currently in the works to allow for a reprieve for both those visiting the park as well as local residents. 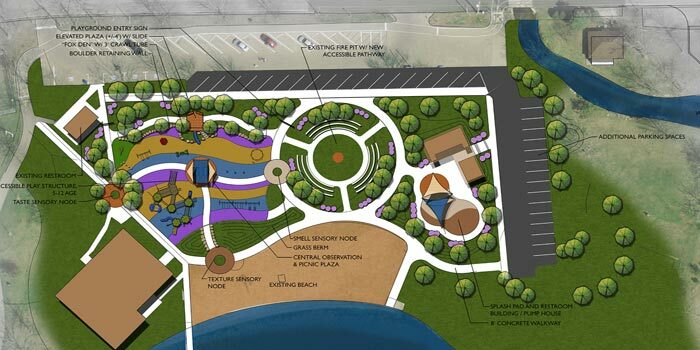 Possibly the most notable goal on the horizon is the renovation of the Winona Lake playground, which Hummitch noted has remained largely the same from the time she was a child. The plan for the park is to create a new, revolutionary play area for people of all ages and abilities, as well as new beach access as well as a accessible sand-play area. Though donations have slowed since the opening of the splash pad, Hummitch notes the Parks Department has remained ever vigilant in its pursuit of funding to finish the three phase project. With just $100,000 left to finish the restrooms, the next plan is to tackle the ambitious playground project. A total of $870,683.38 is still needed to tackle the universally accessible playground, install pathways and equip the perimeter with fencing. In addition, the parks department is seeking $23,000 for inclusive programming. Though the total needed is still large, Hummitch remains hopeful to see the project come to fruition within the next year. With the help of a matching grant, all dollars raised are currently being doubled. This grant is in effect to next summer. Those interested in helping to fund the project can contact the Winona Lake Parks and Recreation Department at (574) 269-2310.